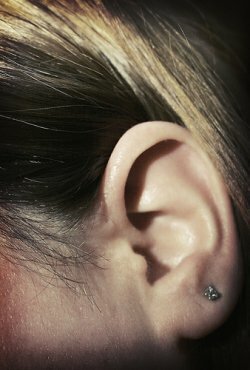 The ear is often referred to as the most energy hungry organ of the body. All parts of the ear require high quantities of nutrients to function properly and to avoid degenerative problems such as hearing loss or tinnitus. slight disturbances in the equilibrium of enzymes can lead to the death of some of the cilia, the tiny hair-like cells which convert the sound waves to electrical impulses relayed by the auditory nerve. The health benefits of good quality nutritional supplementation are far reaching. Not only can it prevent chronic disease over the long term, it can also improve the health of the skin, gums and organs as well as improving digestion and circulation, reducing stress and boosting energy and general well being. For optimal ear health, we recommend colloidal minerals and antioxidants as a minimum. Broad spectrum multivitamins and liquid oxygen supplements are other good choices. Colloidal minerals are very minute particles which have already been absorbed and processed by plants. They come in a liquid form and are readily able to be absorbed by the human body, estimated to be 90% more available to the body than other types of mineral supplements. A good colloidal mineral will contain at least 60 different minerals. the 3rd generation (circuminoids) have now been discovered and will last for up to 3 days. A good anti oxidant supplement will contain all of these ingredients. ear, health, nutrition, supplements. Bookmark.